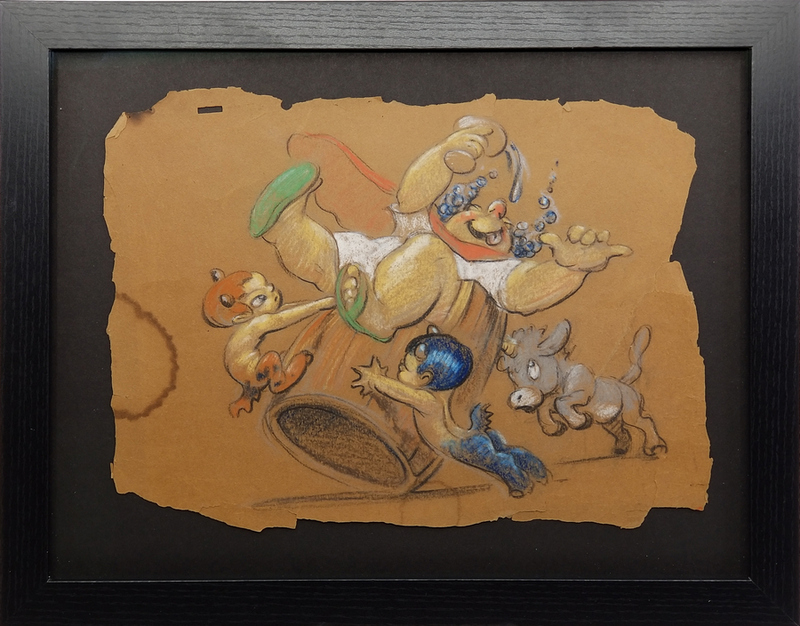 This is an original concept drawing from the Walt Disney Studios production Fantasia (1940). 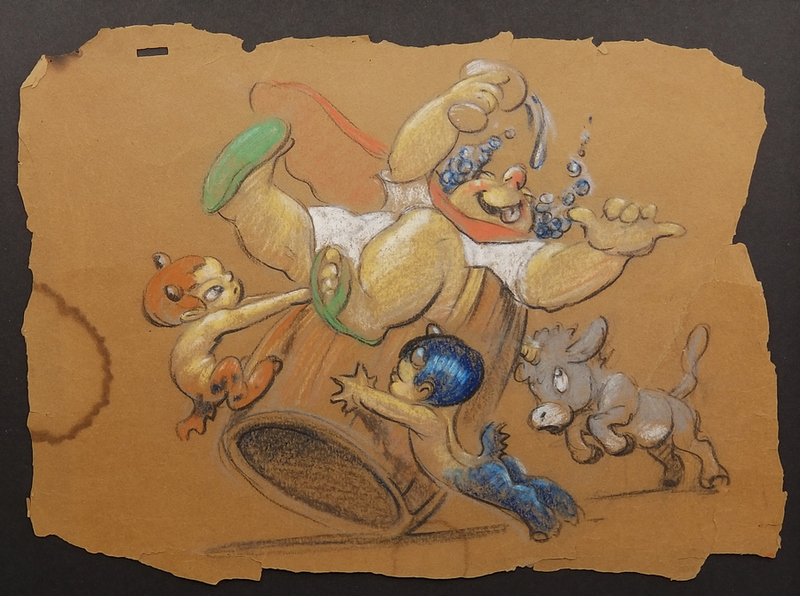 This concept drawing features Bacchus, Jacchus, and two of the Satyr. It was created at the studio by character designer James Bodrero, and was used during production to create the characters in the Pastoral Symphony segment. The overall measurements of the piece are 12.5" x 15.5" framed with the sheet measuring about 8.5" x 11.75" and the image itself measures 7.5" x 9". The concept drawing is accomplished in pastel on brown paper and is in fair condition with very rough, worn edges and tears from age. The gorgeous character image is unaffected by the wear.